Camelot Kimberly (CLARY, 2000) height 22″, bloom 5″, season MLa, Dormant, Diploid, Double 100%, Light pink self above orange throat. Donna Bee (CLARY, 2000) height 40″, bloom 5″, season M, Dormant, Diploid, Double 100%, Pink rose cream polychrome above green throat. Robert Radolph (Bob) Clary was born in the small rural village of Lawrenceville, VA in 1933. One of seven children, he was known as “Randy” or “Randolph” to his family and “rabbit doc” to his childhood friends. He only became known as “Bob” in his retirement years.After graduation from Brunswick County High School, Bob joined the U.S Navy where he served for his country for 20 years as Chief Petty Officer. Following his retirement from the Navy, he worked for a number of years as an electrical engineer for ICI in Hopewell, Virginia. Throughout his service career Bob traveled to exotic places as Spain, France, Italy, China, Japan, the Philippines, and Newfoundland. His tours in the states included Norfolk, VA, Memphis, Tennessee, and Alameda, California. He began his service on the USS Wisconsin in Norfolk and ended on the USS Coral Sea in California. Bob took his family with him whenever he could as he felt that these experiences around the world were more valuable than anything they could have learned in school. Bob was very proud of his children Robbie and Leigh Anne and would often talk about their accomplishments. Springs, Arkansas. 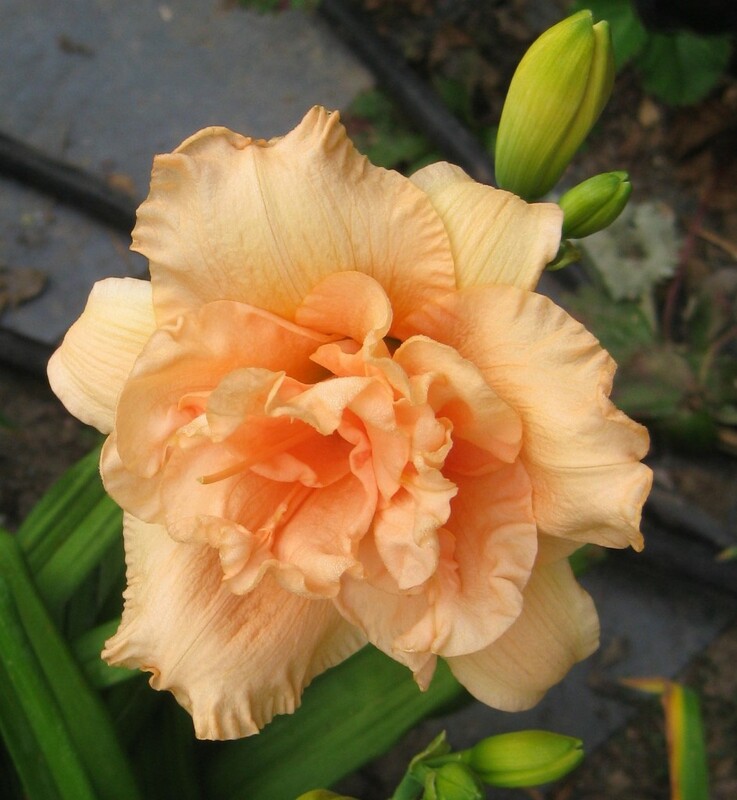 He and Pauline became very good friends and she even named a few daylilies after him such as SILOAM CLARY’S PARADE and SILOAM ROBERT CLARY. When Pauline died a few years ago, Bob was given several hundred of her last seedlings to grow and evaluate at his home in Chester, Virginia. Bob has traveled across the country talking to many daylily and garden clubs about Pauline Henry and her “Siloam “daylilies. He graciously donated any stipends he received for his lectures to the AHS Monroe Endowment Fund. Bob was always willing to talk to anyone that would listen and had the time! As a certified Master Gardener, Bob was always intrigued by new innovations and inventions. Some of his favorites were the “wall of water”, his intermittent sprinkler system, and his new electric deer fence. 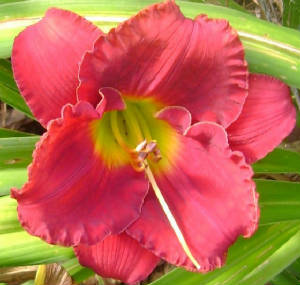 Bob started his Camelot Gardens as a mail-order nursery to help others get some of the “Siloam daylilies”. 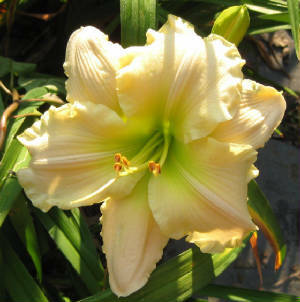 He was well known for selling daylilies by the clump at the double fan price. included pictures of thousands of daylilies. 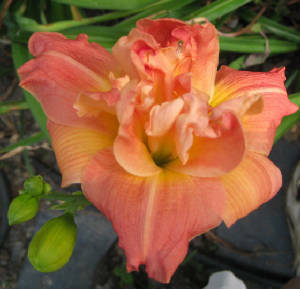 Bob also introduced a few daylilies in recent years (CAMELOT KIMBERLY, DONNA BEE, JEAN LEE, JINGLE ALL THE WAY, and LANNY BOO). In keeping with his belief that it was more important to share than to make a lot of money, his introductions were always offered at an unbelievable introduction price of only $25.00. Bob’s generosity to RADS, Lillyhemmer, and Region 3 is legendary. He could always be counted on to donate plants for sales. Many times in the past when RADS had sold out of plants on the first day of their sales, a phone call was made to Bob. He would dig up clumps of his plants and bring them in to replenish stock. He was a truly kind and generous man. Though he did not hold any official offices in the AHS, Bob was very active behind the scenes with AHS. This year, he was a member of the Society’s History Committee that Ken Cobb Chairs. 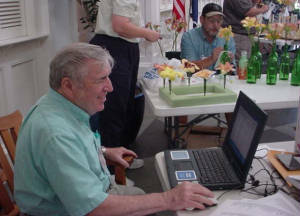 Bob devoted much time to a massive data entry project to index all 58 years worth of daylily journals – articles and photos. He had just completed this task on Nov. 11. This project will serve AHS for many years. Bob was laid to rest at the family church cemetery at Matthew Chapel located less than one mile from his home place. Bob’s life had come full circle. Always a true gentleman – Bob will be dearly missed by all.